Marantz brand ambassador Ken Ishiwata revamps Boston speakers | What Hi-Fi? Quite a lot, as it turns out. Ken, the audio expert responsible for developing and tuning Marantz's electronics range over many years, has turned his hand (and ears) to speakers. His latest project is to revamp the Boston Acoustics speaker range after the US company was acquired by D&M Holdings, parent company of Marantz, Denon, McIntosh and now Boston. "Speakers voiced for the American market do not go down well in Europe," says Ishiwata. "Americans like the sound big, brash and unrefined, while Europeans like more sophistication and stereo definition. I made it my personal target to re-invent Boston speakers for the European market." To that end, he's developed the A Series, an affordable range of hi-fi and home cinema speakers. 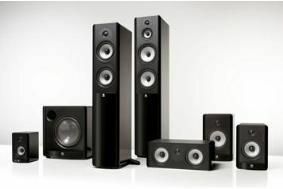 The A360 (£tbc) and A250 (£449) floorstanders use Boston's proprietary Kortec soft-dome tweeters, new mid/bass drivers with ceramic/glassfibre polymer cones and a Linkwitz/Riley crossover design with low-loss film capacitors and laminated steel conductors. A gloss black finish is standard, and white will also be available, but not the wood effect finishes offered in the US. There are three bookshelf models in the range: the A23 (£149), A25 (£199) and A26 (£249), which are all two-way designs with a Deep Channel Design woofer chassis. A pair of subwoofers handles bass duties, the ASW650 (£459) being a 650W design with a 10in driver; the ASW250 (£279) is a 250W downward-firing model. Finally, there's a single centre speaker – the A225C (£189) – which has dual 5.25in woofers and a Kortec tweeter.